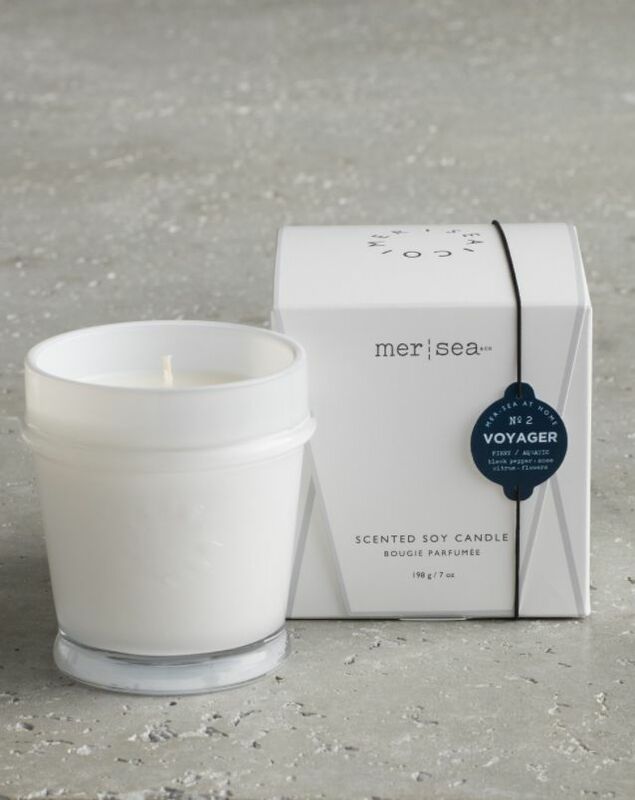 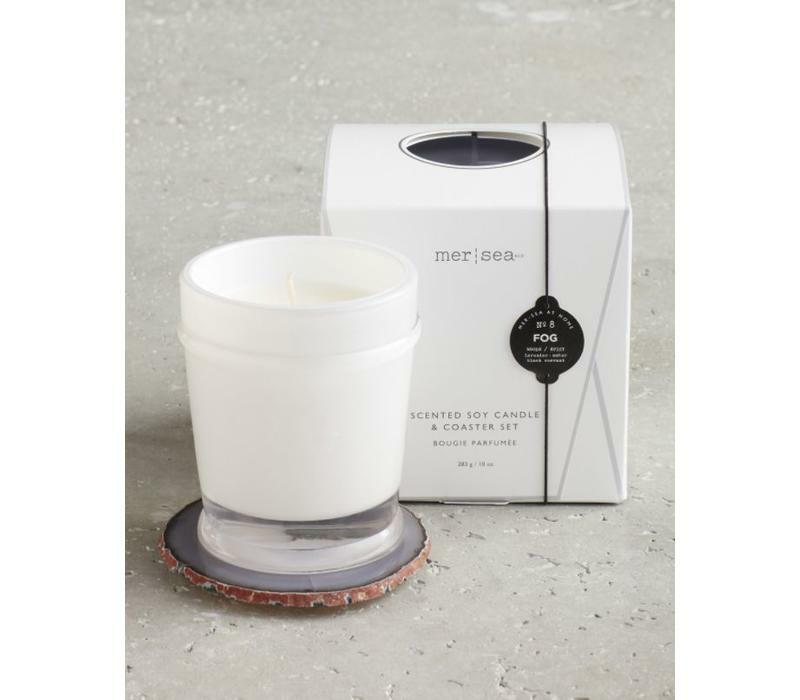 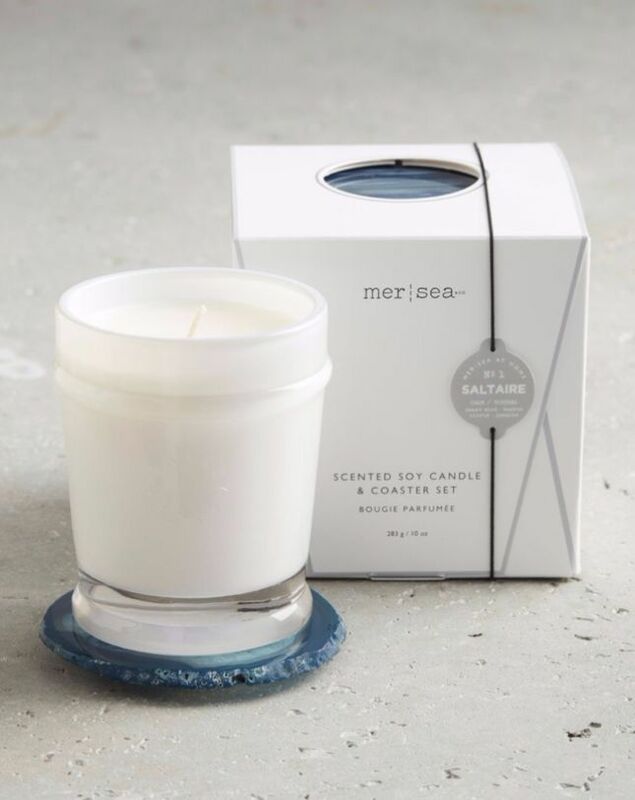 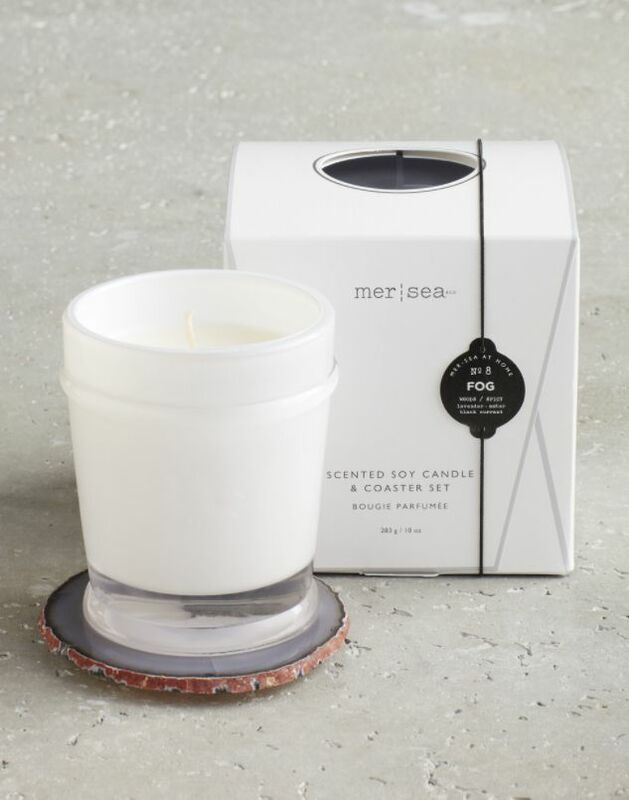 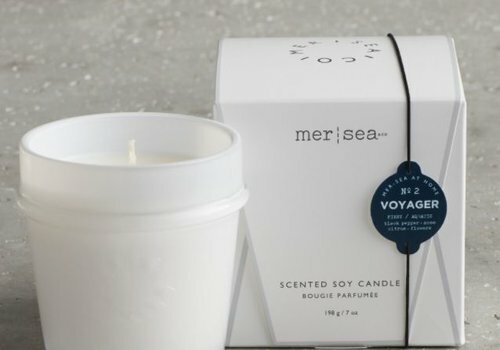 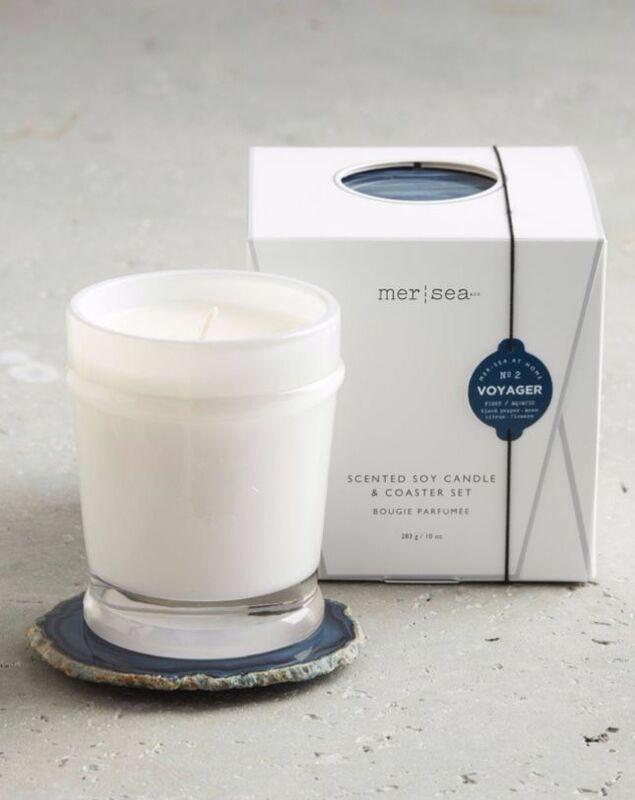 Mer-Sea & Co.'s large 10 oz. 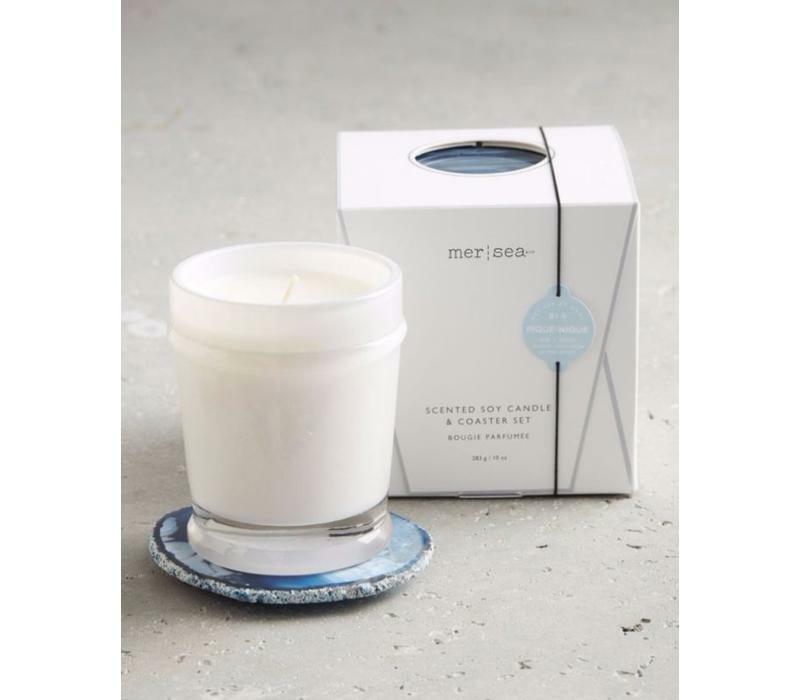 candle is hand-poured to order in the USA, offering approximately 60 hours of burn time. 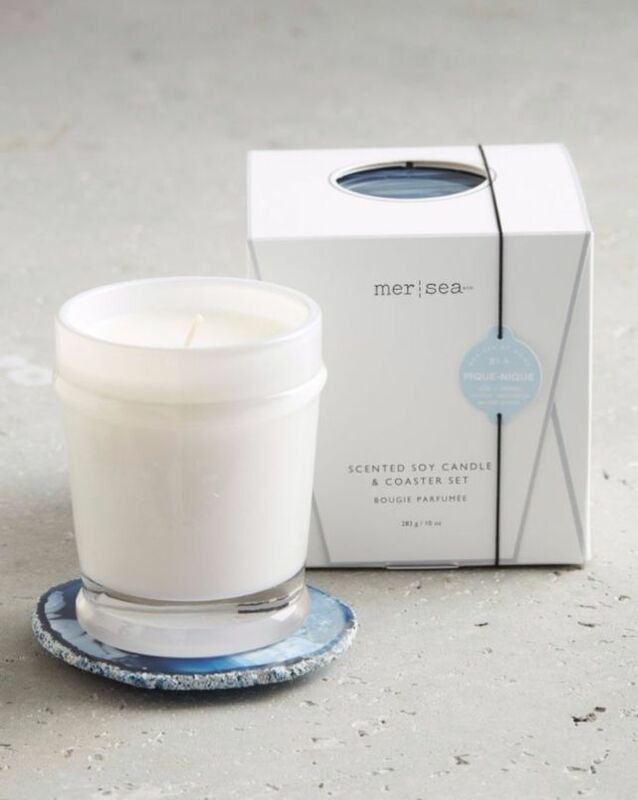 The candle is packaged in a beautiful box designed to showcase each unique piece of agate. Translucent white glassware creates a glow when the candle is lit and can be re-purposed as a votive holder. 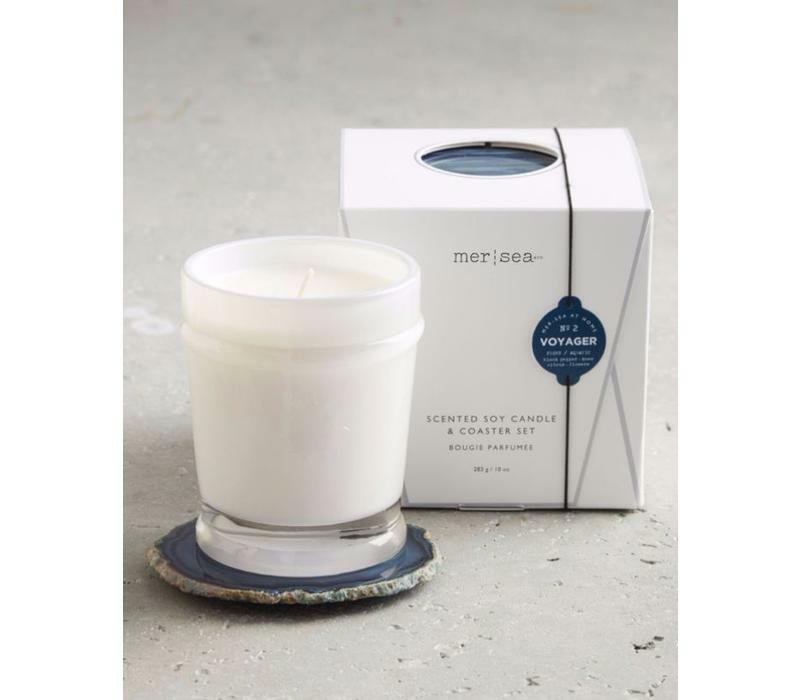 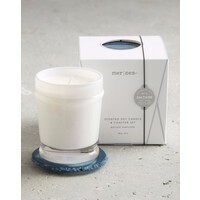 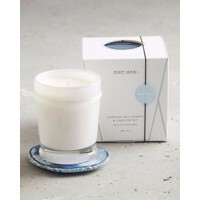 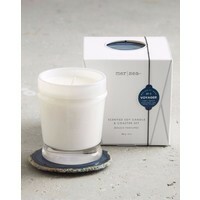 Clean-burning proprietary soy-wax blend, lead-free cotton wick.